Joe is the Client Technology Director at A&L Goodbody where he helps set the vision for the Innovation & Client Technology strategy and drives the exploitation of technology to support and strengthen our advice and service to clients. Joe and the Client Technology team are responsible for leading innovation and business transformation through the adoption and implementation of next generation technologies to deliver faster and more efficient services. Previously, Joe was Head of IT Innovation within Allianz Partners. 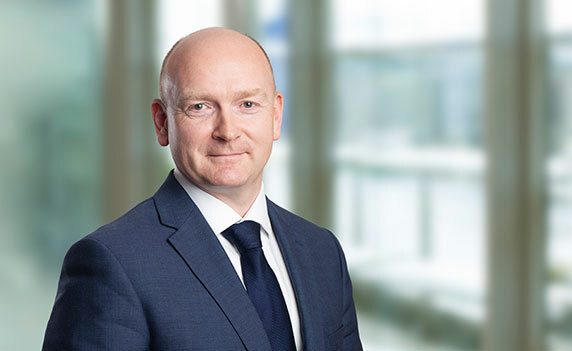 In his 21 years of experience Joe has also held senior management roles within Allianz Care and Oracle while starting his career in Ericsson's. Joe holds a degree in Engineering (Electronics) and an MBA from UCD Smurfit School of Business.